The Maryland Lawyers at Bail (LAB) Project demonstrated the difference counsel makes: 2 ½ times as many represented defendants charged with non-violent crimes were released on recognizance and to pretrial supervision. Additionally, 2 ½ times as many represented defendants had their bail reduced to an affordable amount. Cost savings for Baltimore city’s reduced jail population amount to 4.5 million dollars. Denying representation at indigent defendants’ first bail hearings must come as a shock to people, who thought that on the 50th anniversary of the Supreme Court’s landmark ruling in Gideon v. Wainwright, the constitutional right to counsel extended to the beginning of a criminal prosecution. Not so. Throughout the nation, poor and low-income people wait in local state jails for days, weeks and months until obtaining the representation and advocacy of an assigned lawyer. The denial of legal representation to indigent defendants remains a blot on our country’s commitment to equal justice and falls heaviest on people of color and the economically disadvantaged. Together with information provided by a pretrial representative, a lawyer’s advocacy will ensure that state judicial officers are able to make informed, fair and just decisions that results in substantial savings to the public in a reduced jail population. 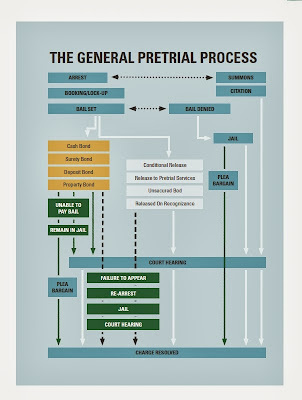 Funded by the Public Welfare Foundation, the Gideon Institute for Representation at Pretrial (GIRAP) stands ready to assist local and state criminal justice officials to make the necessary changes and help create a legal culture that guarantees early representation and reduces the excessive cost of pretrial incarceration. Doug Colbert is a professor of law at Maryland Frances King Carey School of Law and Director of the Gideon Institute for Representation at Pretrial (GIRAP).